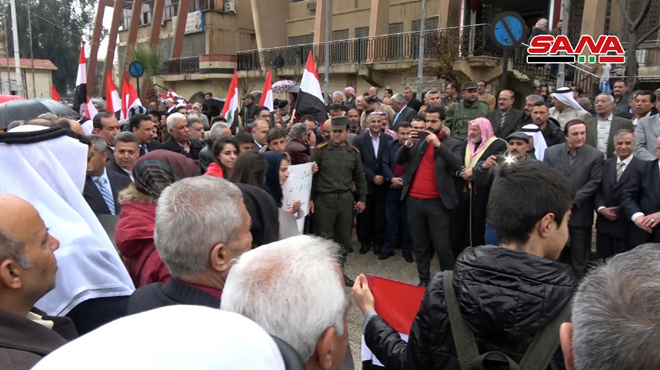 Hasaka, SANA- Locals in Hasaka province on Monday held a stand before the Justice Palace in denunciation of US President Donald Trump’s hostile statements on the occupied Syrian Arab Golan, affirming its Syrian Arab identity and calling upon the international community and the Security Council to adopt a resolution that would stop the US recklessness and its disregard of the international resolutions and conventions. 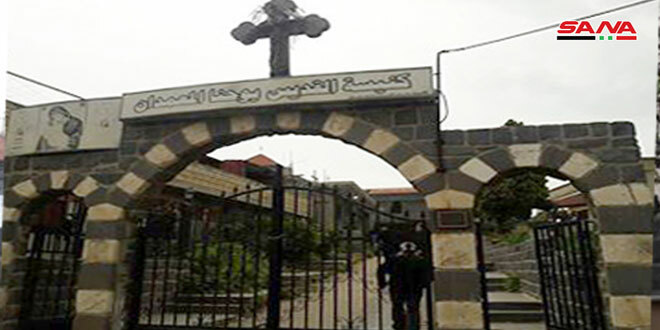 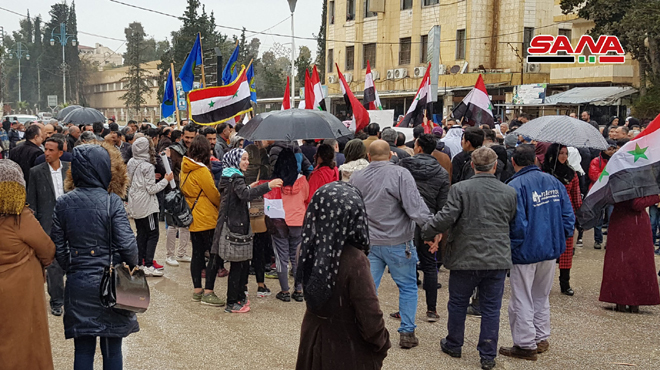 Participants in the stand affirmed that people in Hasaka province stand by the steadfast Syrian people in the occupied Syrian Golan who are adhered to their land and who stand in the face of the barbaric practices of the Zionist enemy. 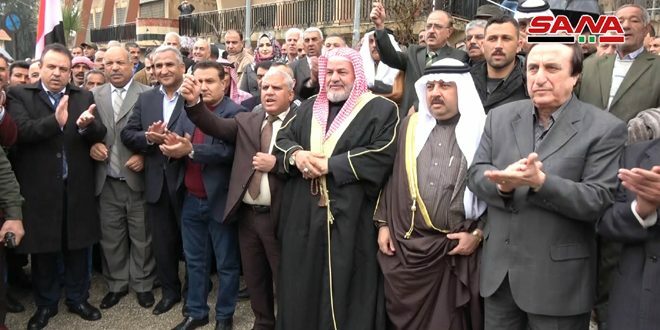 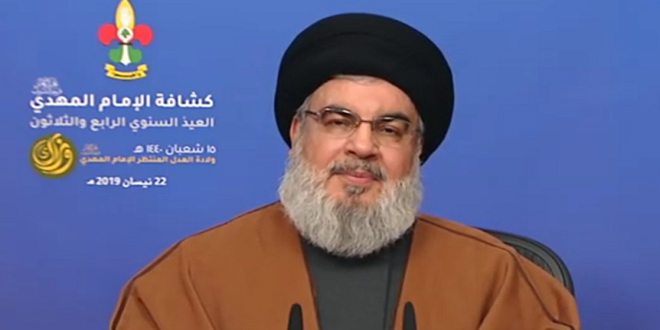 They indicated that the Golan is a Syrian land that must return to its people sooner or later and that the Syrian people will exert all possible efforts to restore it to its homeland. 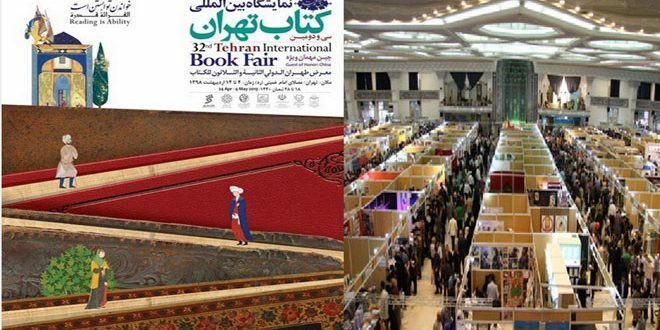 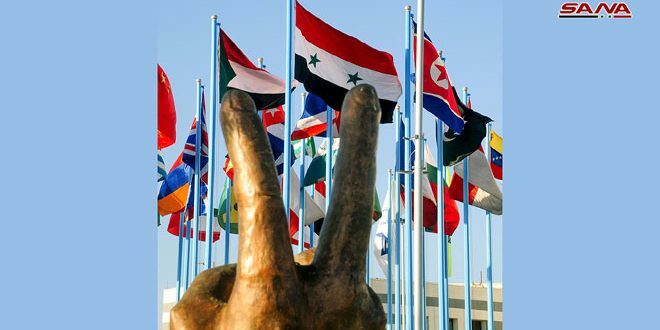 The participants in the event noted that an end must be put to the US disregard of all the legitimate international resolutions, particularly those which are related to the Arab issues, or the international institutions will lose their credibility towards the nations and the countries of the world. 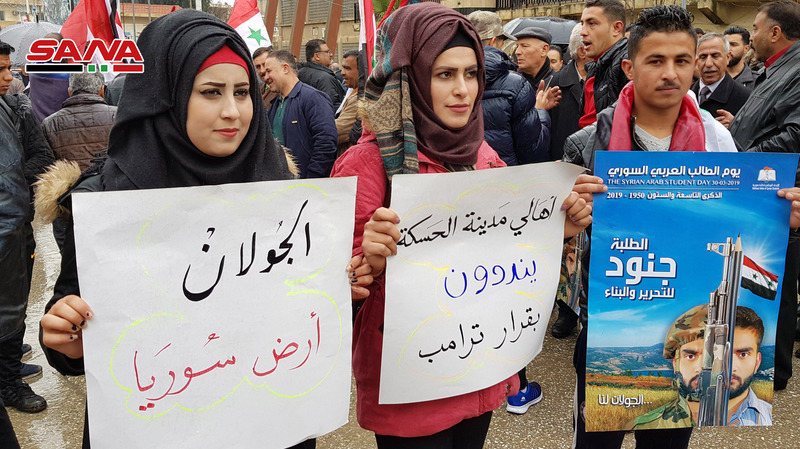 They affirmed that the Golan has always been and will remain a Syrian Arab land and the US blind bias to the Zionist entity will not change that truth. 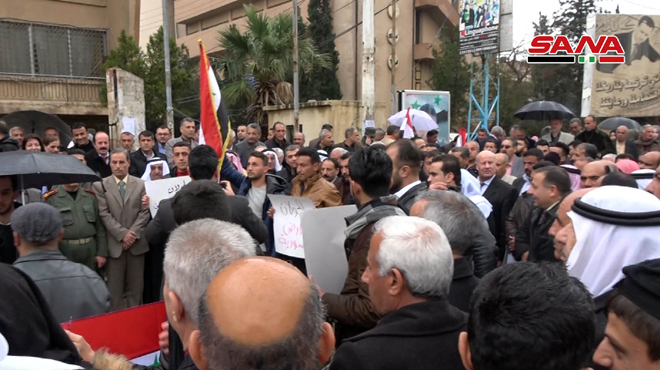 Participants in the stand also called upon the Arab nations and all the resistance forces which stand in the face of the US and Zionist schemes to unite their efforts and to support the Syrian people in the face of the black Takfiri terrorism and the US and Zionist terrorism and its illegitimate presence on the Syrian territories.